I’m pleased to finally offer a set of watercolors in my Shop! 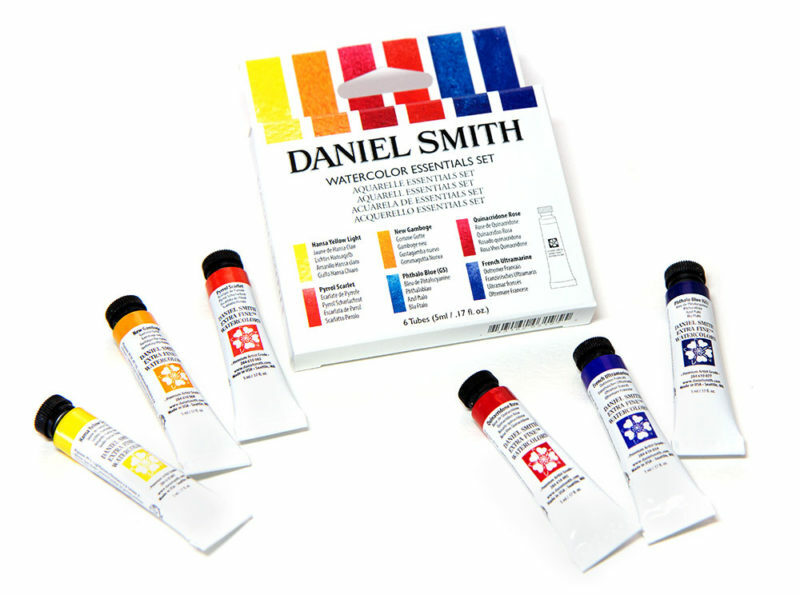 The Essential Colors includes six vibrant Daniel Smith paints that have endless mixing possibilities. 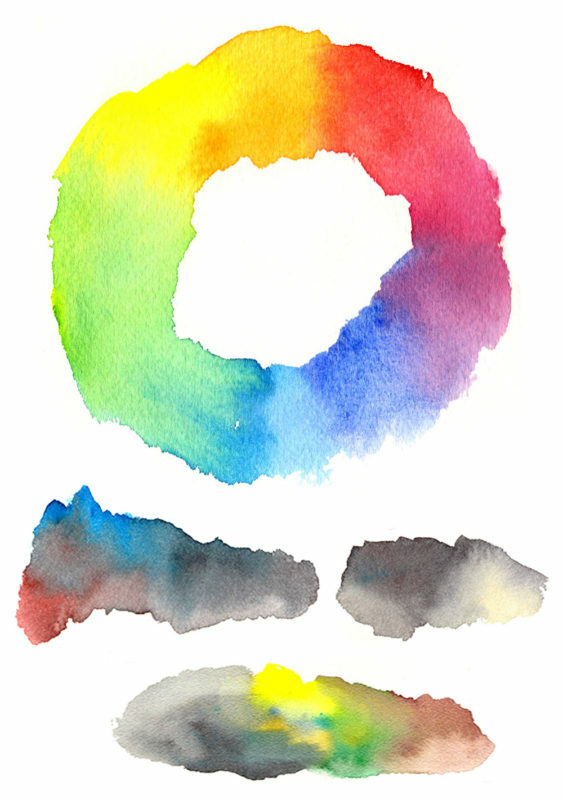 The set is a split-primary palette, providing a warm and cool version of each primary color. Hansa Yellow light is a lemony yellow (cool) while New Gamboge is orangish (warm). Pyrrol Scarlet is an orangish red (warm) and Quinacridone Rose is purplish (cool). Finally, French Ultramarine is a purplish blue, and Phthalo Blue (greenshade) is more teal (cool). When the warm and cool versions are mixed together, they create a bright primary. 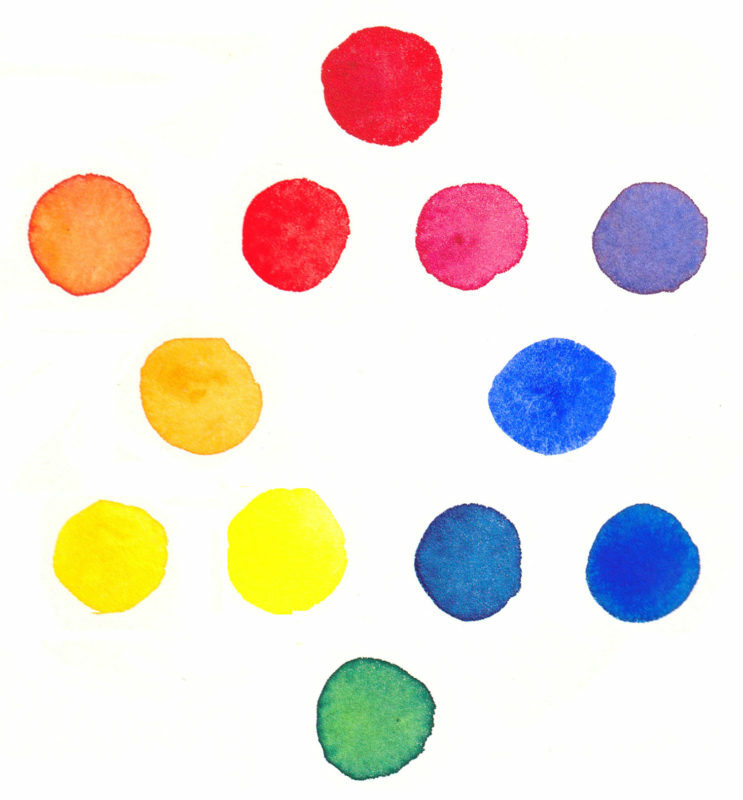 Split primary palette: the inner six colors are included, the outer colors are mixed primaries and secondaries. Using a limited palette (explore examples here) can contribute to a painting’s sense of harmony. 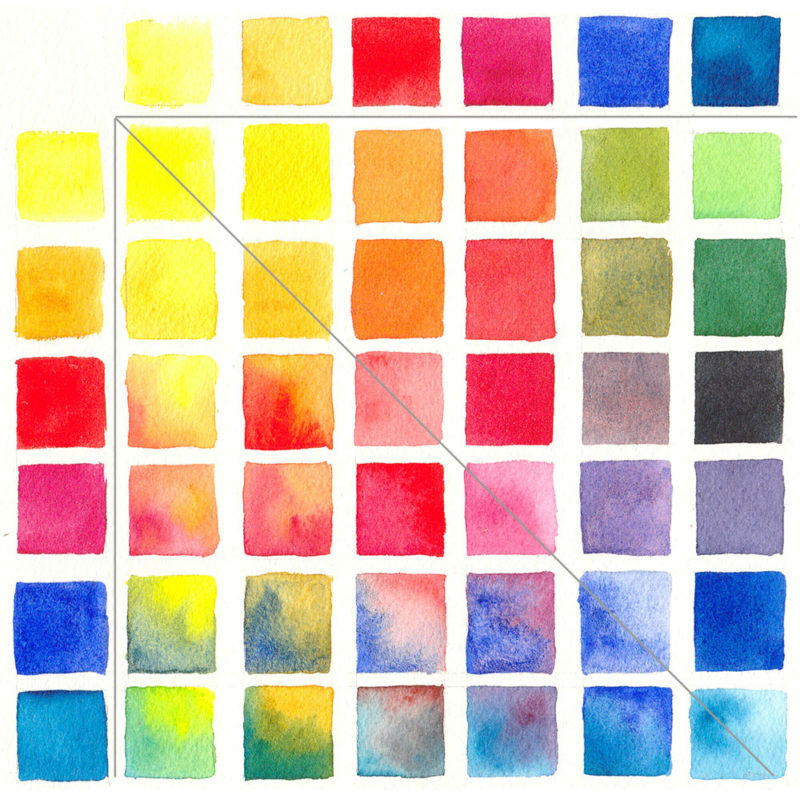 Creating a color chart, such as the one below, can help you understand mixing possibilities. This example is laid out like a multiplication table. I used half of the chart to create uniform mixes of each color, and the other half to loosely the mix the pigments on my paper together. The question of mixing neutral greys and browns always comes up. The trick is to mix complimentary colors together, those that are opposite each other on the color wheel: red/green, yellow/purple, and blue/orange. My rule of thumb is to mix no more than three colors together or they get muddy. Above all, just experiment and have fun! This is a brilliant combo of choices! Both creative and disciplined! Can’t wait to explore this palette.